The attorney-general should save whatever is left of our national pride, now that Singapore has convicted three people over transactions related to 1MDB, the US has taken forfeiture action, and Abu Dhabi has arrested two men. Second Finance Minister Johari Abdul Ghani recently commended Singapore’s financial regulators for sorting out, and acting against those involved in, money laundering matters linked to 1Malaysia Development Berhad (1MDB). He was reported to have said: “So as far as Malaysia is concerned, we are going through that process”. That is good. But, how much longer do we have to wait, honourable minister? The year is coming to a close. While at least six jurisdictions are rigorously investigating and convicting those alleged to have been involved in the biggest financial scandal in the modern world, whose money trail spans over 10 countries, not a whimper is heard on our own shores. Of the five countries now aggressively probing the matter, Singapore is the only one so far to have secured convictions. Three former bankers and wealth managers at BSI Bank have been convicted for forgery and failure to report suspicious transactions involving 1MDB. Earlier, the Monetary Authority of Singapore shut down two private banks units – BSI and Falcon – and fined DBS Group, UBS and Standard Chartered Bank for lapses in money laundering controls. Very recently, US federal judge Dale Fischer denied postponement of hearing in respect to documents filed by the Department of Justice, hence denying the motion by Jho Low and his family to delay hearing the 1MDB-related forfeiture of assets case in the US. For its part, Abu Dhabi arrested Khadem Al-Qubaishi, ex-head of the Emirati government’s lnternational Petroleum Investment Company (IPIC) and Mohamed Badawy al-Huseiny, former head of Aabar Investments PJS, both in relation to fraud and money laundering related to 1MDB. Malaysia is the home of 1MDB. Those said to be the main players in the 1MDB saga are from Malaysia. It is embarrassing that law enforcement authorities in other countries are taking action, but we have yet to take anyone to court. Is the attorney-general waiting for the 14th general election to be over before taking action? Could we request, or, to put it appropriately, demand, that the attorney-general act on at least one person, as strongly recommended by the Public Accounts Committee (PAC) in its report on 1MDB presented to parliament on April 7, 2016? On page 106 of the report, the PAC had specifically and categorically stated that the former CEO of 1MDB, Shahrol Azral Ibrahim Halmi, should be investigated. Going by the PAC report, Shahrol had defied specific orders from 1MDB’s board of directors and taken actions contrary to the board’s instructions on several occasions. This included being instrumental in executing a telegraphic transfer for US$700 million to an account in RBS Coutts Bank Ltd, now proven to belong to Malaysian financier JhoLow. Very regrettably, Attorney-General Apandi Ali had, according to reports, refused assistance to some of the countries conducting an investigation into transactions involving 1MDB. It is with great shame that Malaysia has to admit that the 1MDB case has become a signature campaign in the global effort by prosecutors to crack down on kleptocracy, and the relative ease with which the super-rich move their money beyond the oversight of government and monetary authorities. We now seek immediate action by the attorney-general to defend whatever there is left of our national pride and integrity. 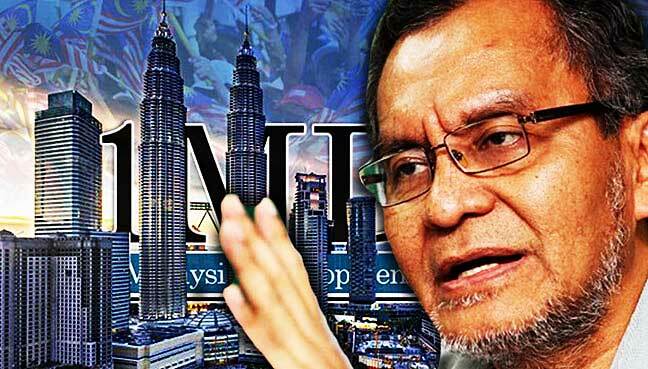 Dr Dzulkefly Ahmad is strategy director of Parti Amanah Negara. Pengarah SPRM bersara kerana tidak mahu bersekongkol, rasa berdosa..perihal dana SRC RM42 juta dalam akaun PM & 6 pegawai BOK dipindahkan!